Are you looking for vector drawing or logo designing apps for your iPad or iPhone ? If yes, this article is going to tell you about some great vector and logo designing apps for your iOS device. With the help of these apps, you can easily create beautiful and professional vectors and logos. Try these awesome vector drawing apps on your iPhone or iPad. 1. iDesign ( For #iPhone & iPad ) - One of the best 2d #vector drawing & logo designing apps on the Appstore that lets you make beautiful logos on your iPhone and iPad. iDesign helps you create high quality logos, illustrations and drawings like professionals. iDesign comes with lots of designing features, useful toolbar with some useful options, lots of drawing tools, text tools, freehand drawing options, and many other features. Great app for drawing and logo designing. 2. 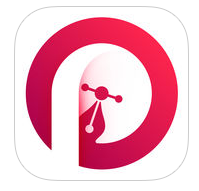 ProtoSketch Vector Graphic Design Made Easy ( iPhone & iPad ) - One of the best vector designing apps on the iOS Appstore and it comes with many amazing features. With the help of ProtoSketch app, you can easily express your ideas & feelings by creating sketches, logos, concepts, vector illustrations, app icons, app designs and many other useful stuffs like landing pages of websites and apps. Very useful & professional logo designing for creative iOS users. 3. Sketch Club ( For iPhone & iPad ) - Sketch Club is a professional sketching app for iPhone and iPad that comes with powerful vector tools, pens, brushes with 44 built in presets, layer adding options, and many other features. 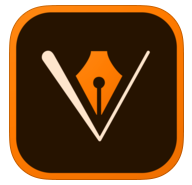 Sketch Club has many tools for vector drawing and designing logos and all of those tools support freehand drawing. Great app to create beautiful vectors and logos on your iPhone and iPad easily. 4. Graphic - illustration and design ( Only for iPad ) - Graphic is a very useful drawing app that helps users to create vectors & logos. 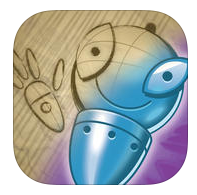 The app comes with some useful drawing tools which can be used to draw vectors and make beautiful logos on iPad. One of the best designing apps for iPad users. With this app, you can easily create designs & logos like photoshop desktop version. 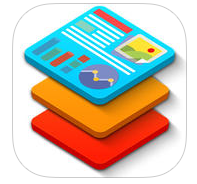 The app comes with many features including Photoshop PSD export/Import option, PDF supports, multi color option, lots of drawing related professional tools with layer editing option. 5. 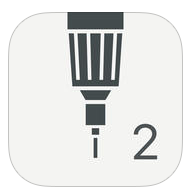 Adobe Illustrator Draw ( iPhone & iPad ) - Adobe illustrator draw is the best vector drawing app for iPhone & iPad users which comes with full featured vector drawing tools. With the help of this app, you can easily draw stunning vectors and logos on your iOS device. 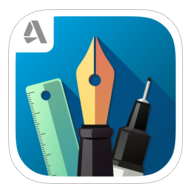 Adobe illustrator draw includes many features such as drawing with five powerful pens and eraser , drawing tool with opacity and other options, drawing organizer , multiple layer adding option and many other features. 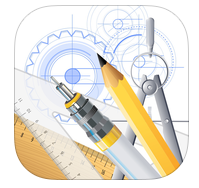 Great vector drawing app that is available free of cost on the Appstore. 6. Tayasui Sketches ( For iPhone & iPad ) - Professional drawing app for iPhone and iPad that can turn your device into a powerful drawing & logo generator tool. Tayasui Sketches is a fully functional designing app that helps you design beautiful and high quality logos like professionals. The app comes with lots of features including different types of 20 drawing tools, brushes editor, layer editor and a complete set of designing tools. One of the best logo designing apps on the Appstore that lets you to create unique and beautiful logos. You can download this app free of cost from the Appstore. 7. Logo Foundry- Logo Maker App ( iPhone & iPad ) - Featured rich logo designing app for iPhone and iPad users that is available free of cost on the Appstore and it comes with lots of features and lets you create beautiful logos by using dozens of stylish fonts. The app contains lots of stylish fonts, text styling tools, and tools for adding designing effects like opacity , shadow , reordering layer etc. Useful vector and logo designing app for your iOS device. One of the best logo maker apps for iPhone & iPad users. If you are a blogger, web designer, banner designer, internet marketer, app developer or desktop software developer, you would love using this app because it helps you create beautiful logos & banner like professionals. 8. Design & Flyer Creator ( For iPhone & iPad ) - Design & Flyer Creator is a great painting app that helps you make beautiful and professional vectors, logos, invitations, flyers, greetings, icons and artworks. One of the best apps to design icons, vectors and other artworks. If you are looking for royalty free logos, banner & designs for commercial use, this app would be the best option for your iPhone & iPad.